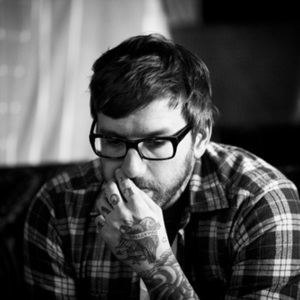 City and Colour is a band by former Alexisonfire guitarist and vocalist Dallas Green, started in 2004. The project title derives its name from Dallas' own name: Dallas, a city, and Green, a colour. Dallas is praised by critics and fans alike for his strong, clear vocals and his guitar playing skills. To date, Dallas has released two EPs, ?The Death of Me? (2004) and ?Missing? (2005), as well as three full length albums, ?Sometimes? (2005), ?Bring Me Your Love? (2008) and "Little Hell" (2011). To date, Dallas has released two EPs, ?The Death of Me? (2004) and ?Missing? (2005), as well as three full length albums, ?Sometimes? (2005), ?Bring Me Your Love? (2008) and "Little Hell" (2011). Dallas Green also appears on Neverending White Lights' collaborative album Act 1: Goodbye Friends of the Heavenly Bodies (which was released in 2005), contributing vocals to the song "The Grace". Recently he has started playing in an acoustic set with his Alexisonfire bandmate, Wade Macneil.